What if you could proactively develop relationships with your targeted buyers in a way that felt good to both you and them? Would you be interested in talking with your dream clients about their expertise, their pain points and getting a better understanding of how they see the future? It is possible. 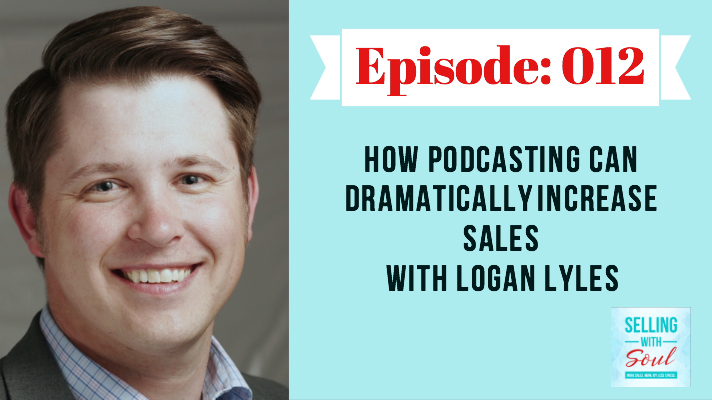 Podcasting can do all of that and more and we are going to talk all about it on today’s insightful episode with expert and fellow sales professional, Logan Lyles. Logan’s expertise comes with some serious street cred. Like most of us Logan discovered sales by accident. He stumbled into sales after getting a degree in journalism in 2008, never thinking he had the personality type for sales. Sound familiar to some of you? Over the past 10 years of selling in the technology & B2B marketing space, he has discovered a way to lean on questioning skills, content creation & an analytical approach to be successful in a career that he didn't think was for him in the beginning. Logan has been an individual contributor & lead sales teams in different markets from Montana to Texas. Currently, Logan is Director of Partnerships at Sweet Fish Media & the Co-Host of B2B Growth podcast. He interviews sales & marketing leaders in the B2B space, learning from them & collaborating to create content that helps listeners growth their businesses, while also helping clients determine if their own podcast strategy can help them build their network & their brand. When we think of podcasting for business, we often connect the goals to visibility and leads generated through our listener base. But what if podcasting gave you the ability to proactively form relationships with your dream clients, no cold calling, no email pitching? When done strategically and carefully podcasting can do all of that and more for you and Logan is going to show us exactly how in this episode. We will break down why podcasting can be an extremely powerful tool in your sales toolbox. How there are other, potentially more important goals for podcasting than downloads and we are going to talk about the types of sales results that are possible when you are dedicated to putting out consistent, quality podcast content. How to transition the interview into a sales conversation and so much more. This episode is jam packed with insights, don’t miss out! My revenue generation strategy sessions.